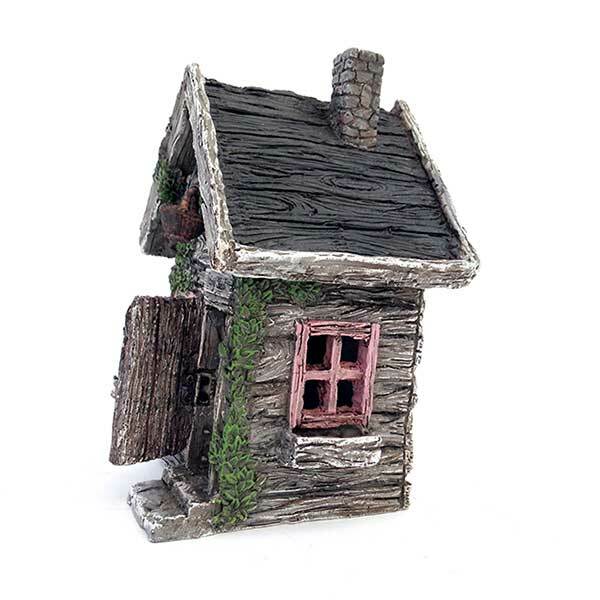 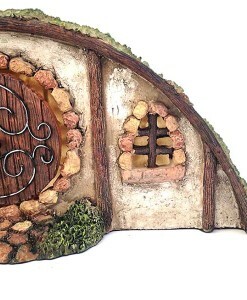 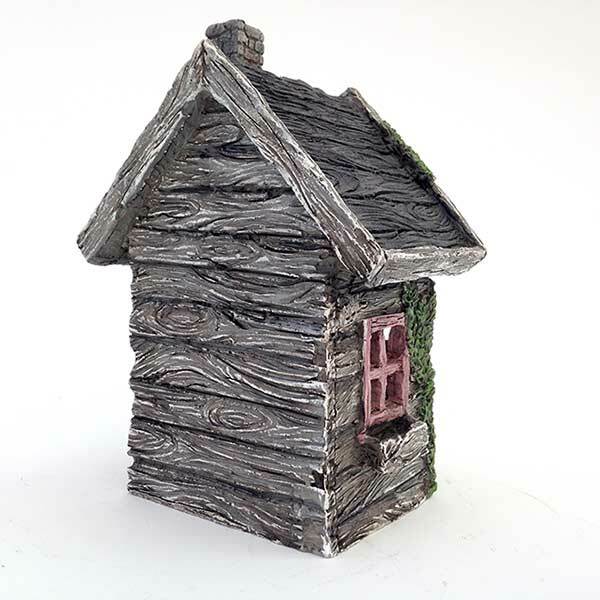 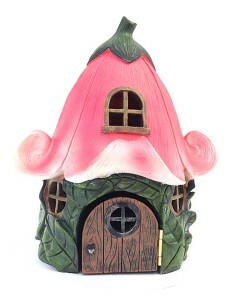 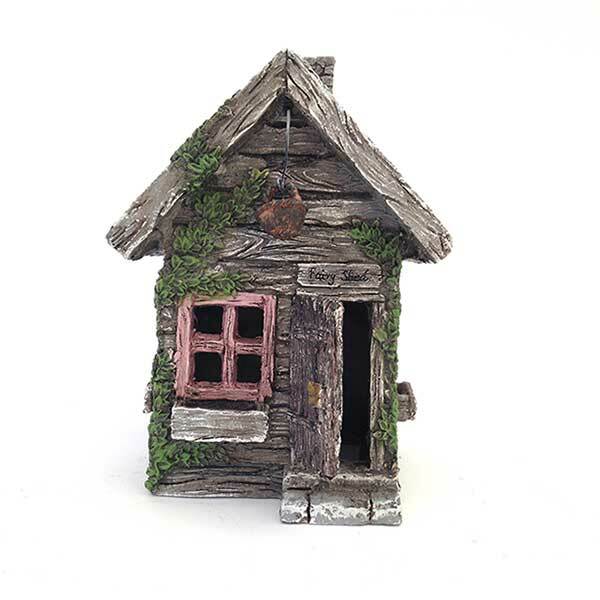 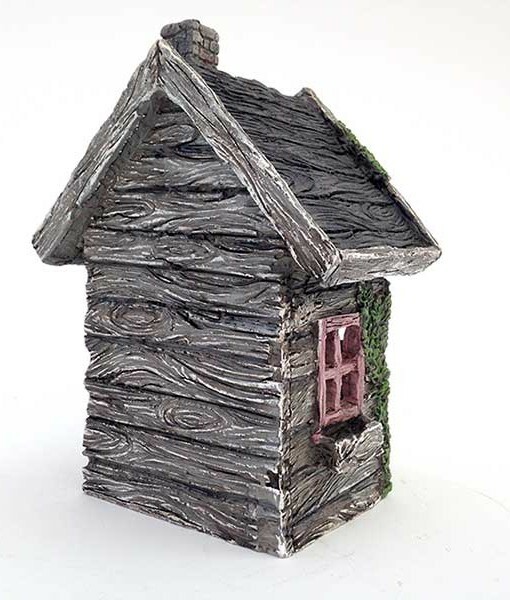 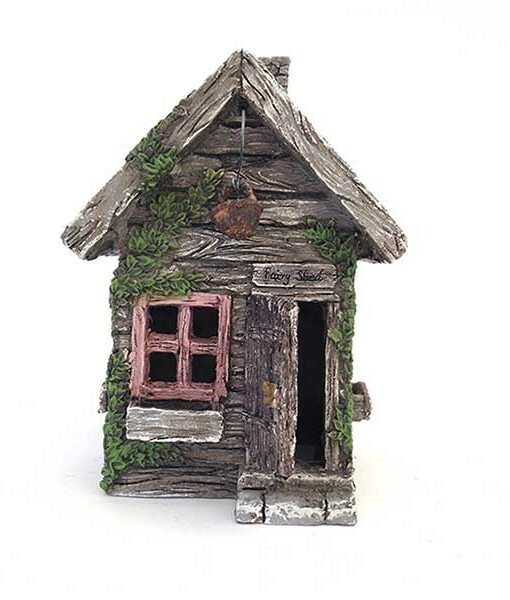 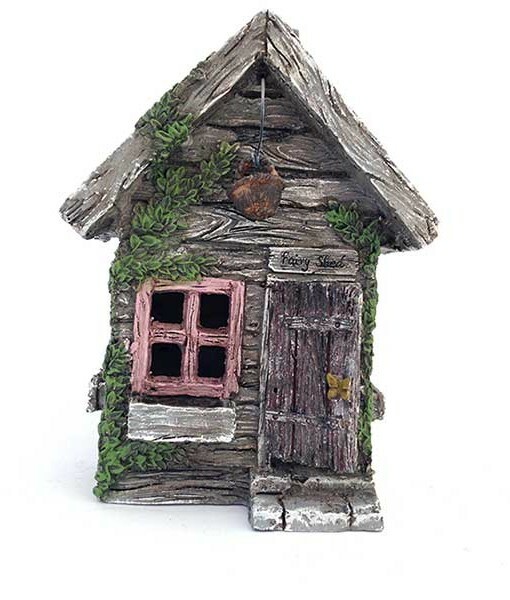 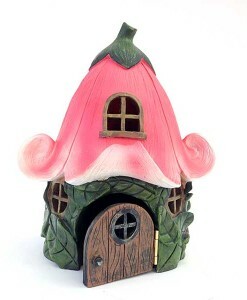 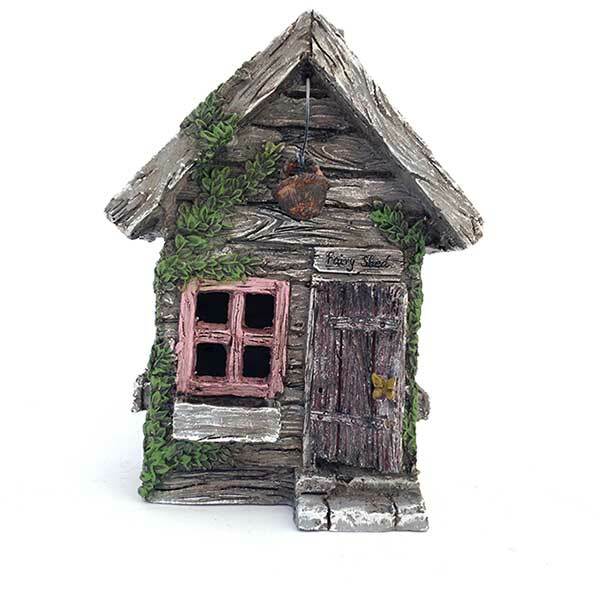 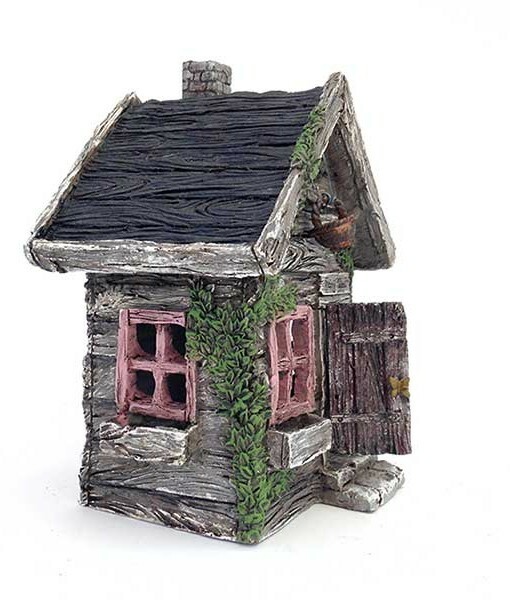 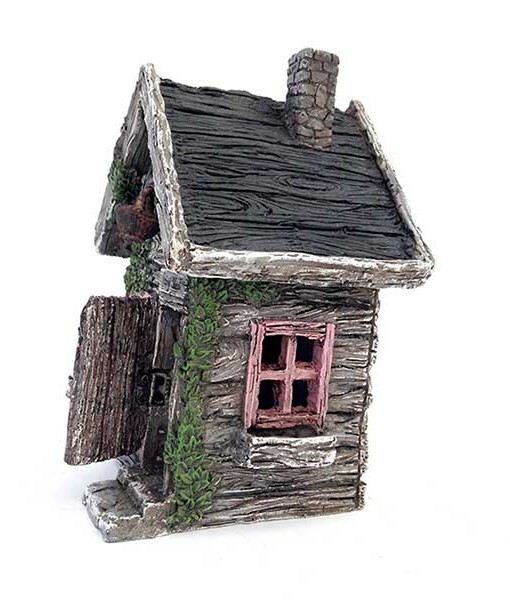 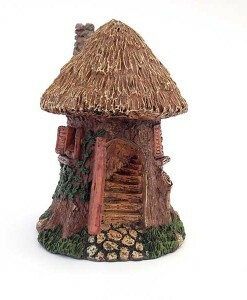 This sweet miniature wood cottage works in country-style fairy gardens and miniature forest settings. 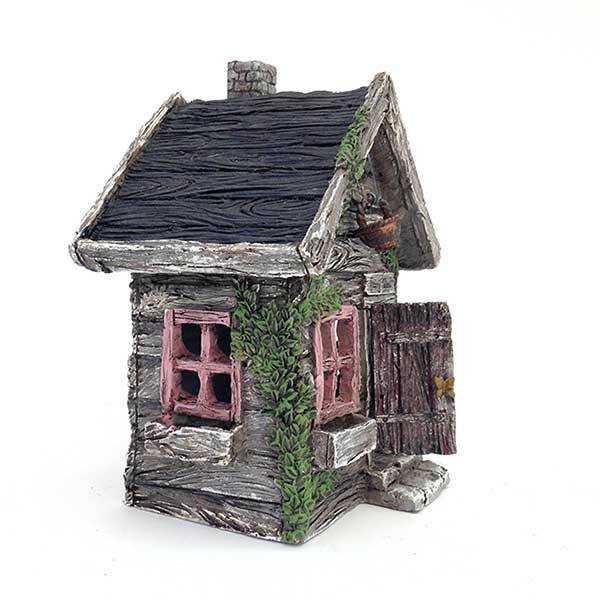 This sweet miniature wood cottage works in country-style fairy gardens and miniature forest settings. 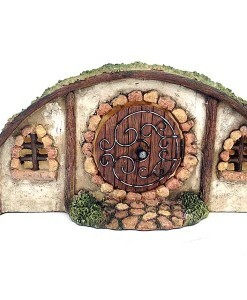 Imagine it at the end of a mossy walk or tree-line lane. 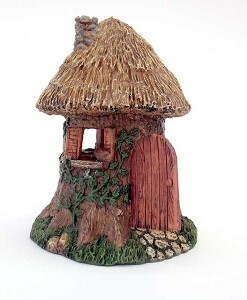 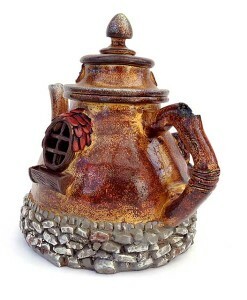 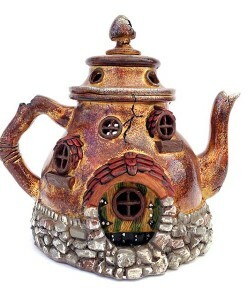 Dimensions: 5 1/4″ wide, 4 1/4″ deep, 7 1/4″ high.